On Friday night we arrived in Da Nang. We’re staying in a two bedroom apartment, in a tower located two minutes from the beach. We’d just spent three weeks traveling through Laos and Vietnam, staying in hotels and visiting some amazing places: Luang Prabang, Hanoi, Halong Bay. At this point we’re ready for the pace of living a normal life in a big city in a developing country. Which brings us to Da Nang: one of the few places in Vietnam that offers mountains, beaches and city, all in one. If you take a map of Vietnam, Da Nang is located on the eastern coast, at the midpoint between the north and south. 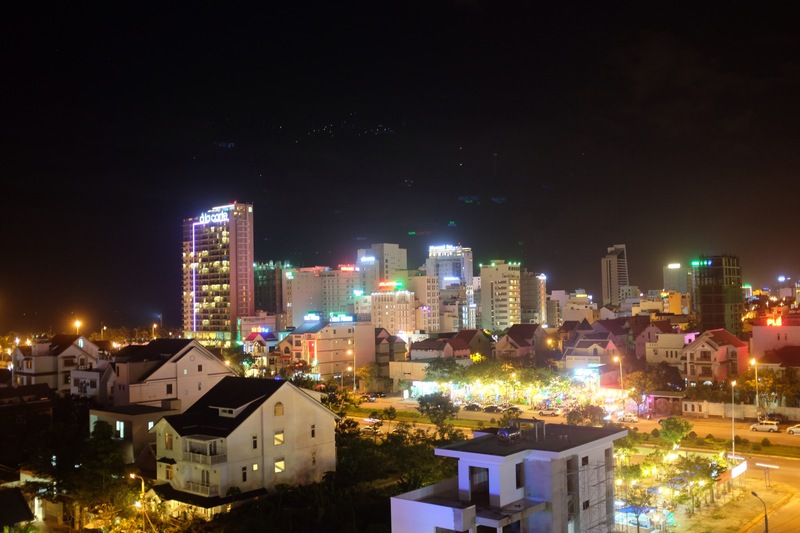 With a population of about a million people, it’s the fifth largest city in Vietnam. 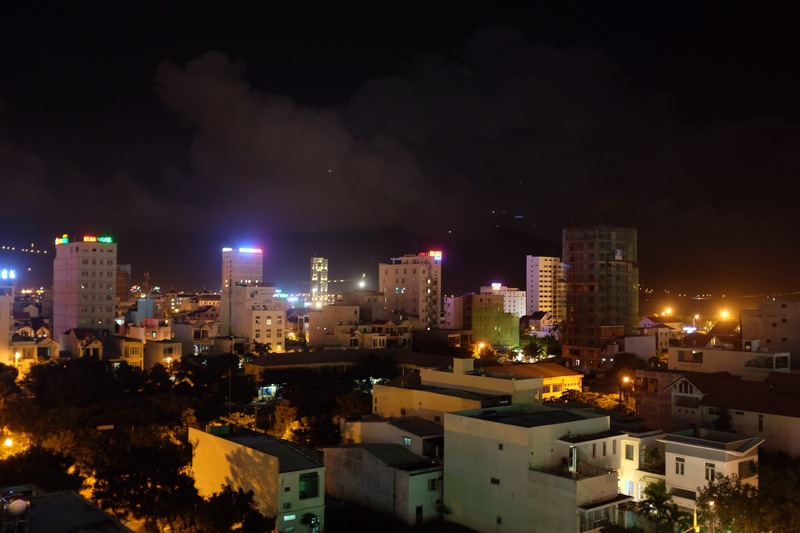 There’s a lot of hustle here; Da Nang has a young, entrepreneurial population that have made the city the third largest economic hub in the country, after Hanoi and Ho Chi Minh City. It is is also close to three UNESCO World Heritage sites: the Imperial City of Hue, the Old Town of Hoi An, and the My Son ruins. And here’s a shot of Ida on the beach in the afternoon. Since arriving in South East Asia we’ve been at a loss for preparing local vegetarian dishes. We’ve eaten delicious noodle soup, curries and banh mi sandwiches but have no idea of how to make them. We don’t even know where to get the ingredients. We’ve felt a little lost, searching for sand in the desert. 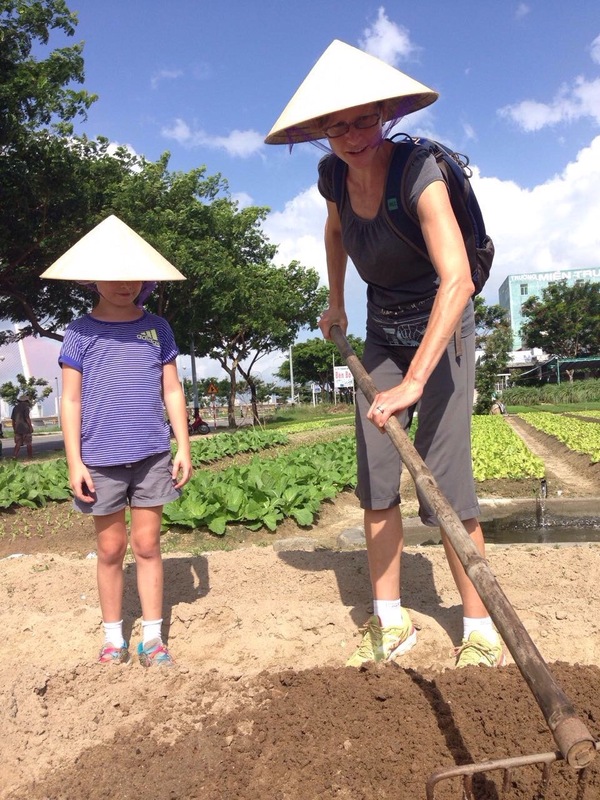 On Tuesday, Louise and Ida cracked the South East Asia food code (or at least part of the code). 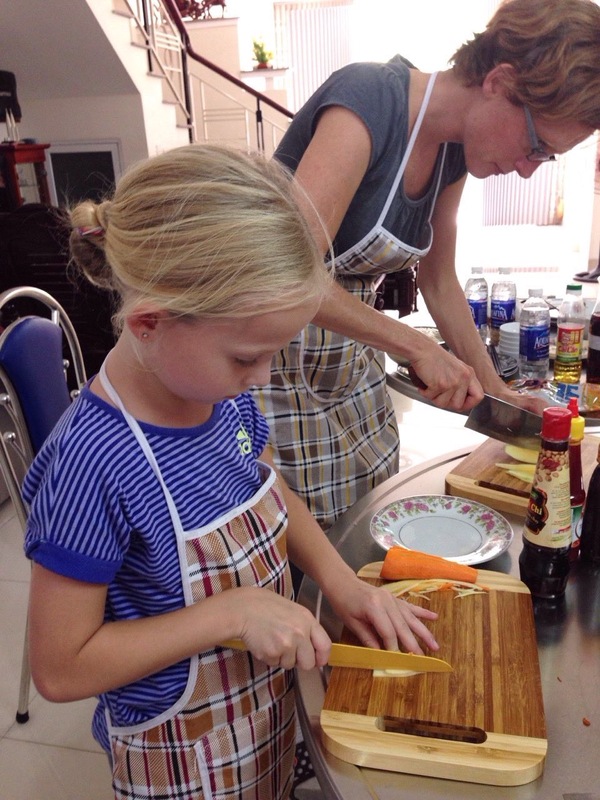 They took a cooking course that showed them not only how to make noodle soup, green papaya and mango salad and Vietnamese savory crepes but they also went to the local market to source the ingredients. 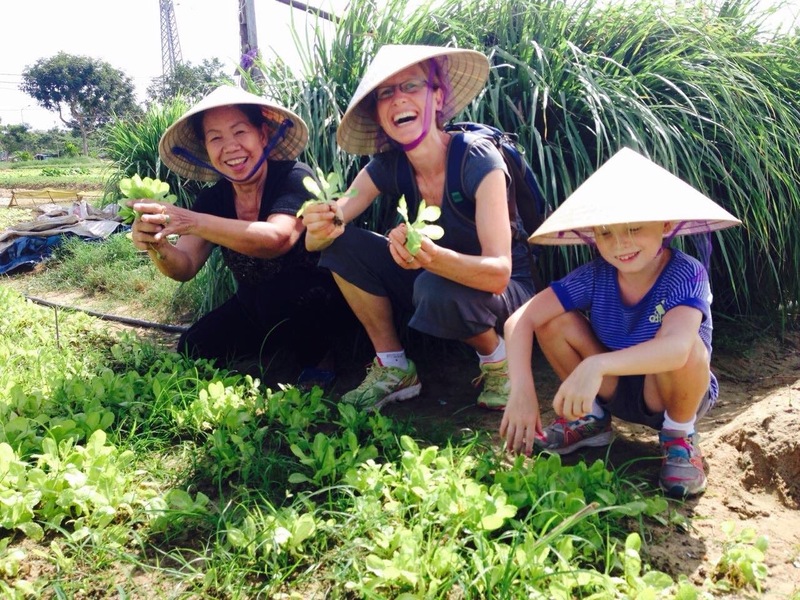 The cooking class included a trip to a local garden, where Ida and Louise transplanted lettuce (Vietnamese farmers like their straight rows) and harvested herbs. To get the right ingredients, Louise now brings to the market pictures of the fruits, vegetables and sauces she wants to get and shows them to vendors. Or she’ll write down the Vietnamese words for some of the products she wants to buy: sugar, salt, etc. To help the girls keep up with their schoolwork, we want to get them into an environment where they are speaking French on a regular basis. Through the Da Nang French Institute, we connected with a local French conversationalist, Felix. He lives here with his partner, the general manager of an international NGO based in Da Nang. Felix spends two hours with the girls on weekday mornings, talking with them in French. Here they are playing Scrabble together. Next week they’ll probably go to the beach together and maybe the French library in Da Nang. 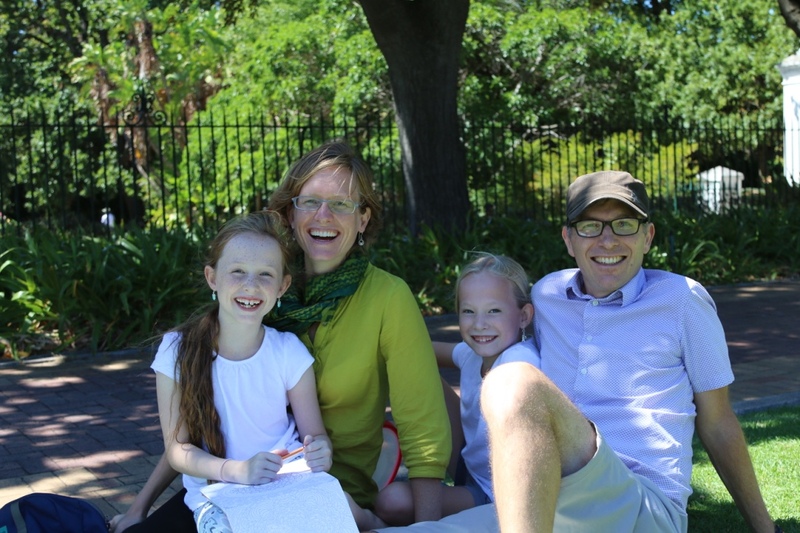 They are really enjoying it (Ida, two minutes ago: “I really love our French tutor!”). So here we are. We’re staying in a flat with a kitchen. We’re learning how to navigate the markets and prepare delicious meals. We’ve got an excellent French language program for the girls. We walk on the beach together for evening sunsets. 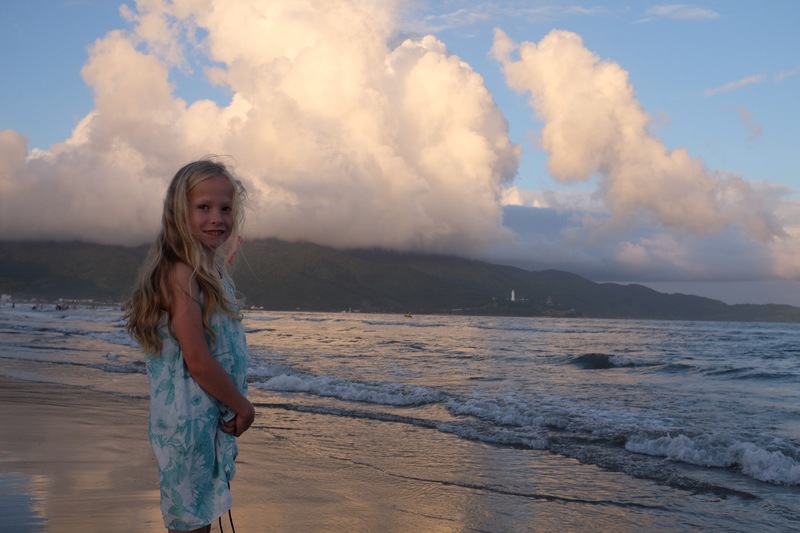 And we’re thoroughly enchanted by Da Nang. It’s the perfect recipe for a great stay. Ahhhh, sounds relaxing and totally enjoyable, take it easy.